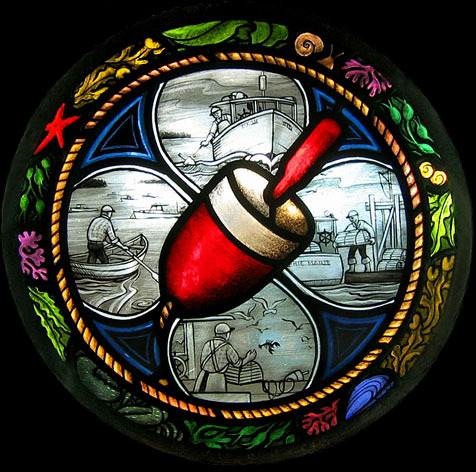 During the Renaissance in Northern Europe glass artists often incorporated a family coat of arms into just such a medallion, surrounding it with little painted pictures of activities typical of the family (often battle scenes). Where is heraldry still in active use today? Why in the distinctive painted buoys of the lobsterman! So here is a 21st century take on a very old tradition.